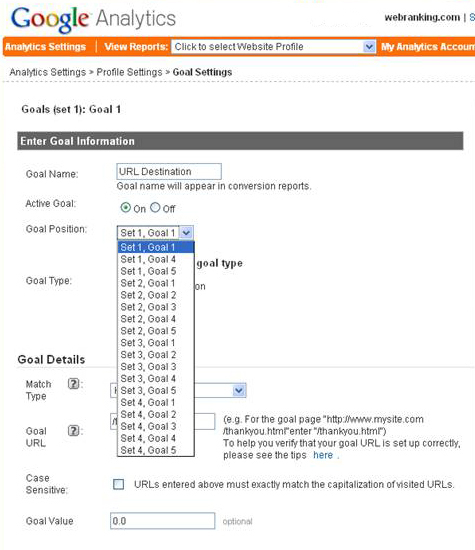 Recently, Google Analytics made an update to their Goal Conversion Tracking system that allows you to rearrange and change the position of your goals by simply selecting a different spot in a dropdown menu. At first glance earlier today, this new feature seemed to be an easy way to rearrange your goals to your preference so that you can see the goals that you want, where you them. But after testing it further I realized that is has a major flaw that you need to be wary of: Loss Corruption/Confusion of Goal History Data. Previous to this new feature you had to manually edit the settings for each goal your wanted to change the position of. Kind of a pain, but not too big of a deal. The real problem was that when you changed the data from an existing goal to a new one, your new/edited goal kept the history of the one you just replaced. Earlier today I was testing the change feature on a few existing goals and discovered that when you change the position on an existing goal, the goal history does not carry over to its new position and stays at the position that the goal was moved from. This is exactly the same way as before and something that you will need to consider before changing goal positions. Don’t change your existing goals around unless you are early in the goal tracking process with little history (maybe 30 days or less) or unless you are okay with the data disruption that is going to happen and understand its effects. 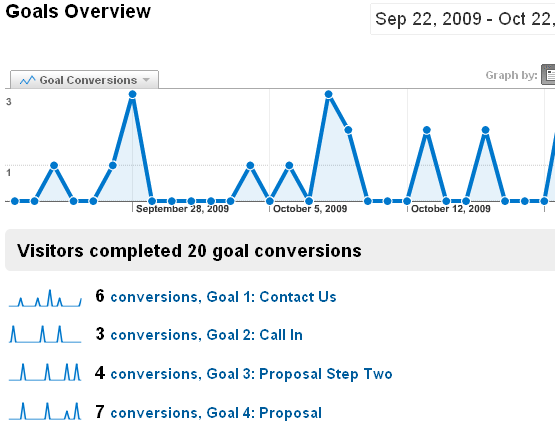 Alternatively, if you are like me and at times find yourself inclined to be obsessively “Organized”, you could consider enabling another analytics profile for your site and then recreating all of your goals (now up to 20) in this new profile in just the order that you want. This will give you a clear start to tracking goals in the order that suits you best and not cause any confusion as to when things changed. Just remember to keep your original profile and the Goal History that it contains so that you have a source to refer back to from time to time. Cheers and Happy Goal Tracking Everyone! Great post, and I mentioned it in our weekly news roundup the other week, but thought it was important to make mention of the fact that your goal data is not actually lost. Avinash calls attention to this in his blog comments (see link below), but from it sounds like GA has a lack of messaging issue here, not at problem with deleting goal history. Again, great post, I just thought I’d make light of this one because it was just pointed out to me and it was something that had been previously unclear. 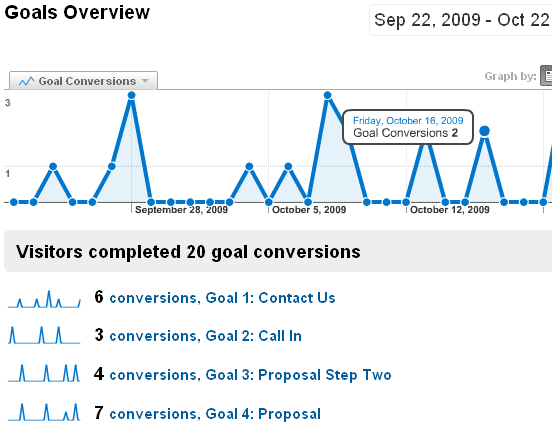 – Goal history data does not follow to the moved goal position. 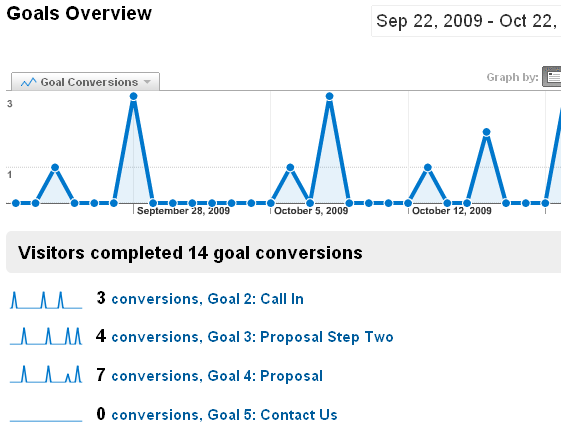 – Goal history data remains connected with the original position. – If you use the original position for another goal, it will retain the previous goal history and then start tracking new goal data from that point on. I do caution that changing goals with history is a bad idea and unless you take steps to retain your data, such as Avinash’s excellent solution, you will be corrupting your goal history. Yes this is really annoying even though google say none of your data is lossed – it loses it immediately when changing. Which is just what happened to me. I now know they are either incompetant or liars or both!